Is Contingency Planning Really Necessary? Contingency planning seems to be a legacy from the WSC PI Committee in the 1980s as proposed in “A Guide to Public Information”. Over the years this component of PI has not been little used in our experience. Yet some regions are adamant in their use. It seems to be an important part of highly organized area or regions and not so in those that are much more informal or smaller. 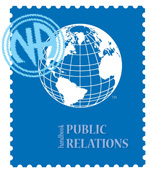 We cannot find any mention of contingency planning in the Public Relations Handbook (available for download at the NA World Services website). Under “Articles” in the Resources section of the site, we present an article written in 1999 written by a former member of WSC PI Committee in 1999 as a resource paper for the Asia Pacific Zonal Forum. It is unknown how long it was distributed but it is not offered as a resource on the NAWS website today (March, 2012). Below we offer other resources on contingency planning. We also have a file on “disaster contingency planning” from the Carolinas Region.